Pearls recently made a catwalk comeback, appearing on designer shoes, necklaces, brooches and of course, timepieces. Mother-of-pearl dial watches have a classic elegance to them unlike anything else, and they make for an accessory that can outlive passing trends for decades. We've carefully picked out some of the most beautiful and diverse pearl timepieces from our extensive collection, which we feel highlight just how stunning this unique look can be. Mother-of-pearl itself comes from the rainbow-coloured lining found on the inside of a shell, and is made up from a variety of minerals, including calcium carbonate. Oysters and molluscs use it to protect their shells from parasites, but its appealing aesthetic makes is far too pretty to stay on the ocean bed. Extracting mother-of-pearl can be tricky, but most watch manufacturers use computer numerical control machines to do this, before manually creating the pretty, lustrous decoration. It's used in everything from watches to guitars. 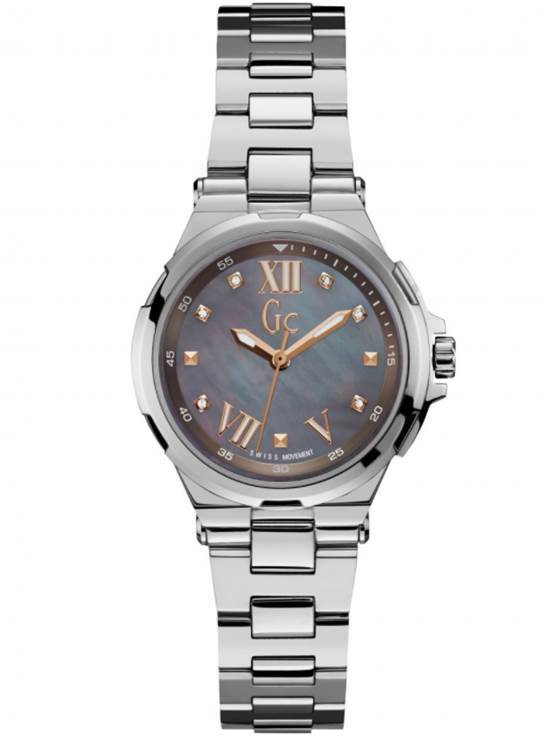 Gc has gone all out with the decadence on this striking Structura watch (RRP £295, our price £245.80). The unique charcoal-coloured mother-of-pearl dial is complemented with golden rose hands and hour markers, and decorated with shimmering jewels for an extra dash of elegance. Perfect for everyday wear, this watch boasts Swiss movement and shines best when paired with a crisp white shirt or blouse, and a pair of smart jeans. Michel Herbelin knows a thing or two about the fine art of watch craftmanship, having been in the business since 1947. 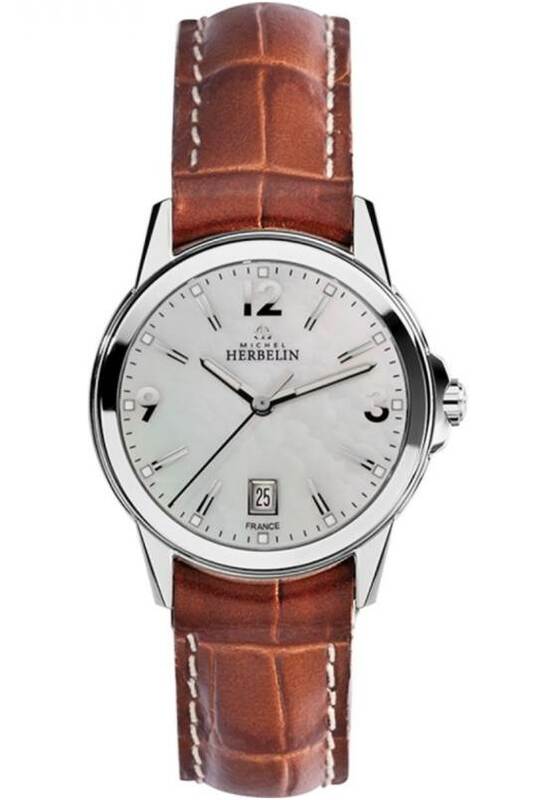 The French brand has used pearl to great effect on its Ambassador watch, which blends silver, mother-of-pearl, and brown leather harmoniously. This timeless design can be worn both in and out of work; try pairing it with brown leather boots and a belt for a chic but causal look. Nautica's unique flag watch is a bestseller for good reason. 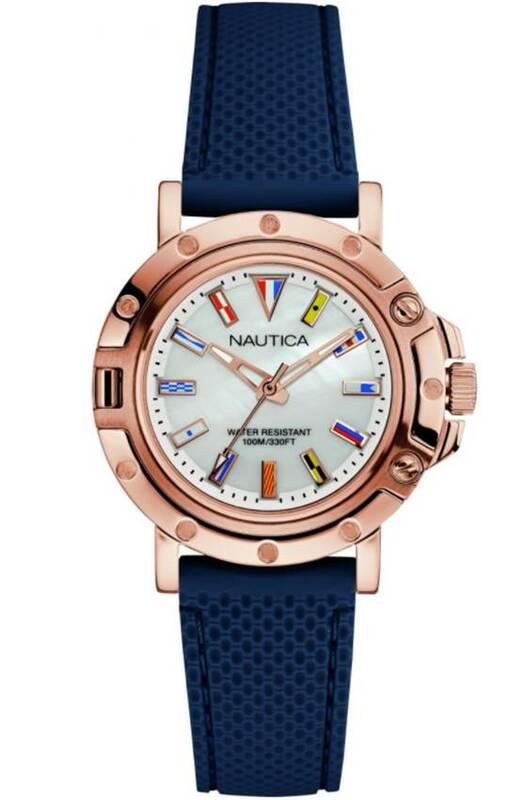 Its pearl dial is marked with nautical flags representing each hour (and spelling out 'Nautica style'), while the rose gold case and hands give the watch a luxe vibe. Perfect for the girl that likes something that goes against the grain, this pretty design is fastened with a navy-blue bracelet. It'll look great at the marina, the beach, or simply at the bar. 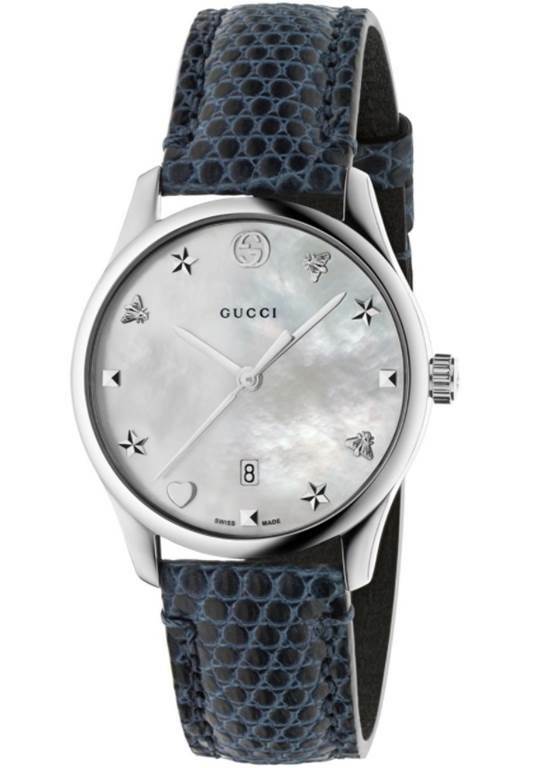 This ultra-stylish G-Timeless watch is unlike anything we've ever seen, and testament to Gucci's ability to deliver when it comes to fashion-forward pieces. The lustrous mother-of-pearl dial features the iconic intertwining G logo on the 12 o' clock marker, while the other numbers are replaced with stars, hearts, and butterflies. A trendy timepiece that's designed for hitting the town all glammed up. 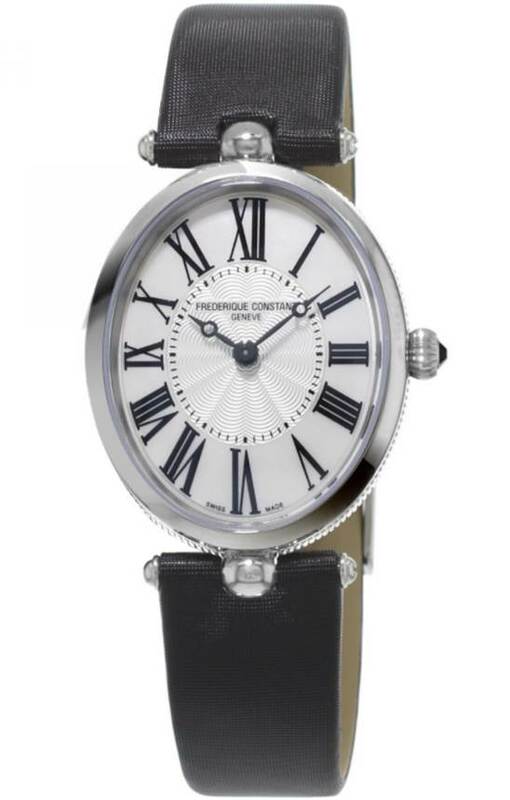 This striking Art Deco piece from Frederique Constant offers a fashionable blast from the past. The vintage hands and Roman numerals give a nod to the '20s and '30s, creating a piece that can be worn in the office or at your next special occasion. An original watch that can be worn for years to come despite its retro styling. 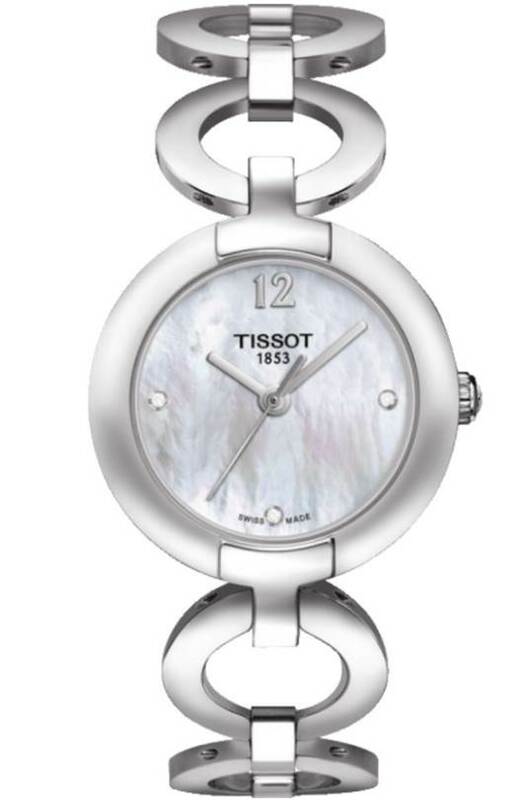 Doubling up as a pretty, silver-tone pearl bracelet, the Pinky watch from Tissot is effortlessly stylish and versatile. The glistening pink pearl dial of this Swiss-made watch is set with three glimmering jewels, and shines best when worn with your best cocktail dress. With so many pearl watches for ladies in every style imaginable, there's something to suit all tastes and occasions. Explore the entire Watch Shop timepiece collection, which features the hottest pearl watch designs from the world's biggest brands, including Michael Kors and Versace.